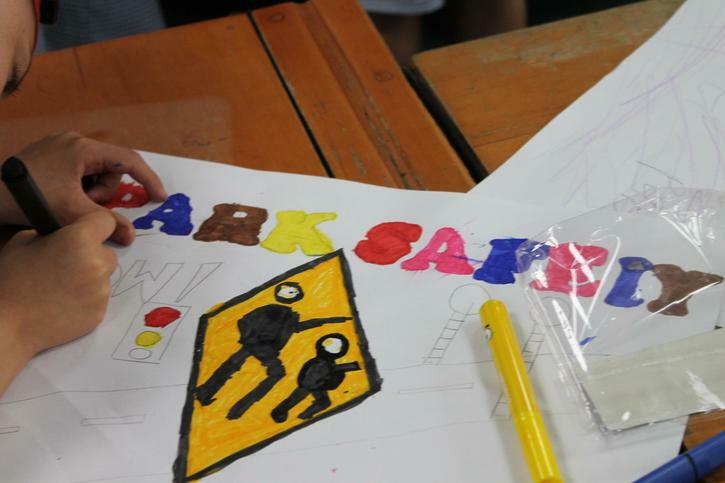 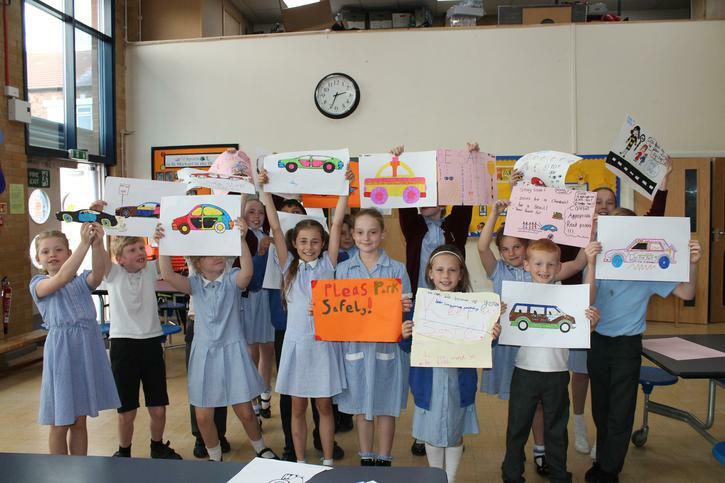 This term we organised a 'Road Safety Awareness' campaign. 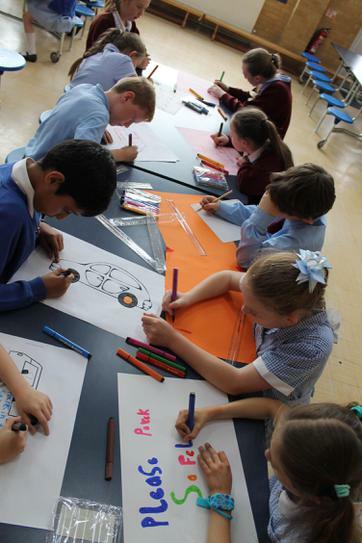 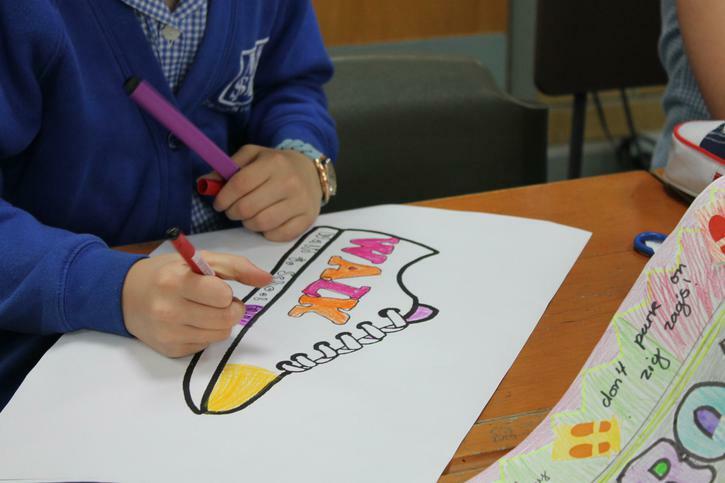 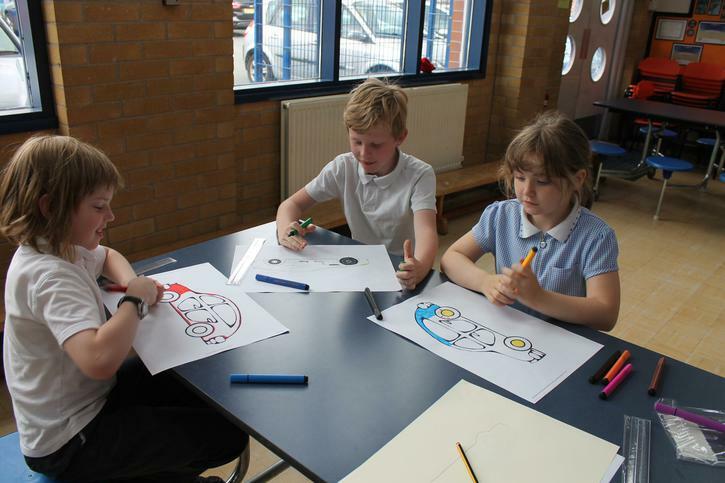 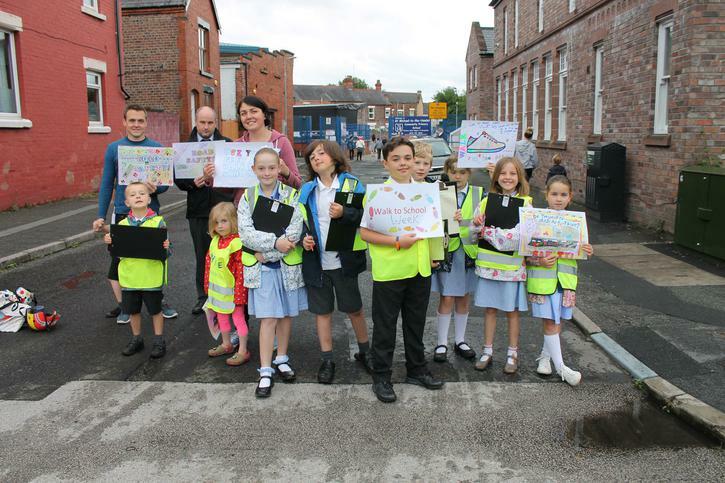 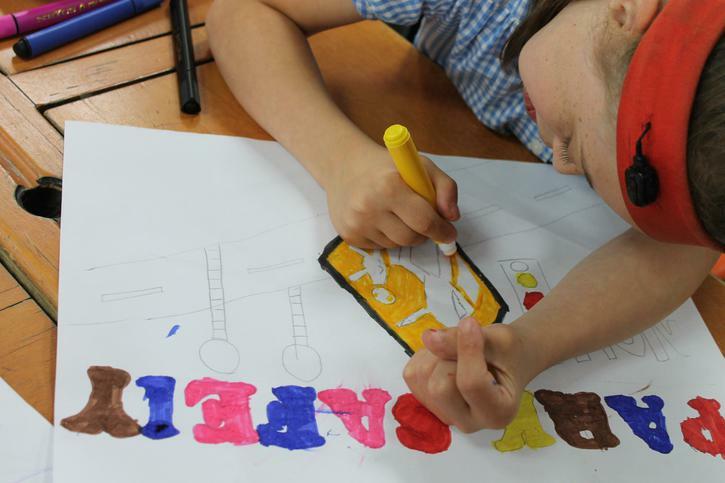 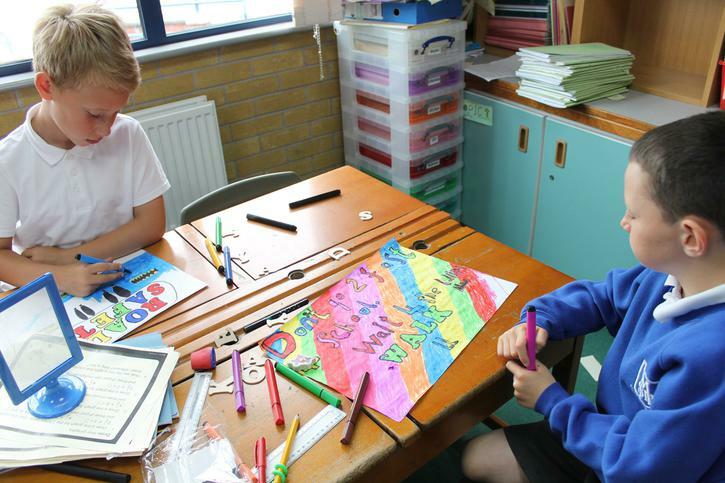 We collaborated with St Charles School Council making posters and leaflets and met with Green Party Councillors, Community Police Officers and the LA Road Safety Officer. 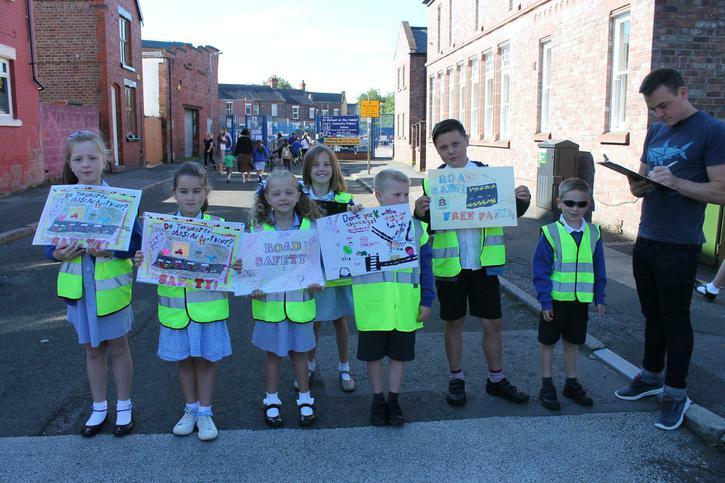 Our plan was to campaign for a week and encourage safer parking and driving around school, cutting down on congestion that was putting our pupils in danger. 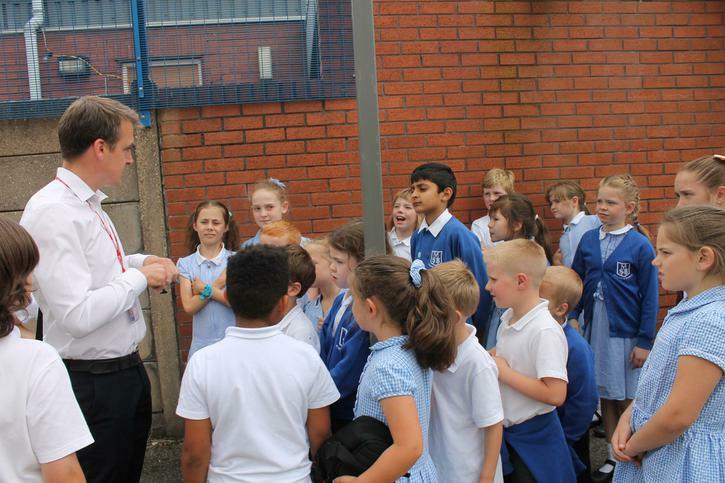 We had assemblies, workshops and Councillor Tom Crone took us to fit devices just outside school to measure car pollution. 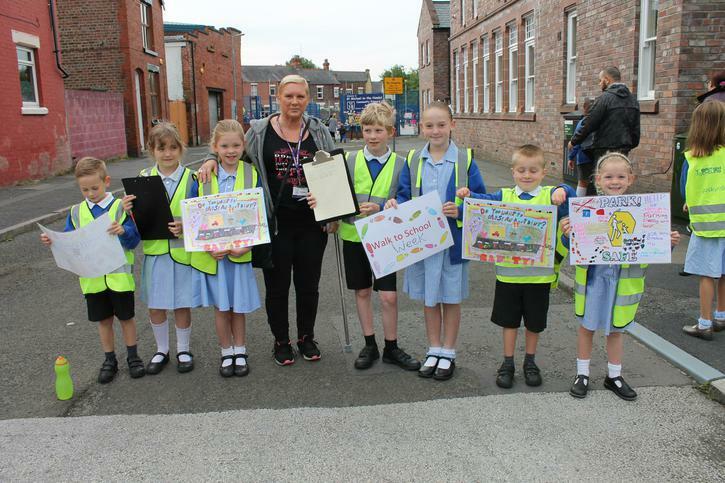 During awareness week our Reception and Infant gates were closed with one entrance used for all pupils. 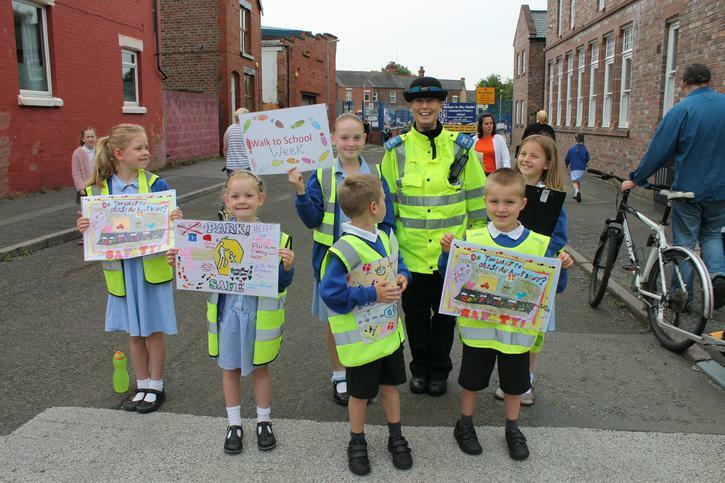 We arrived at school early to campaign with our posters encouraging families to either WALK, PARK and WALK or use the FREE CAR PARK on St Michaels Rd. 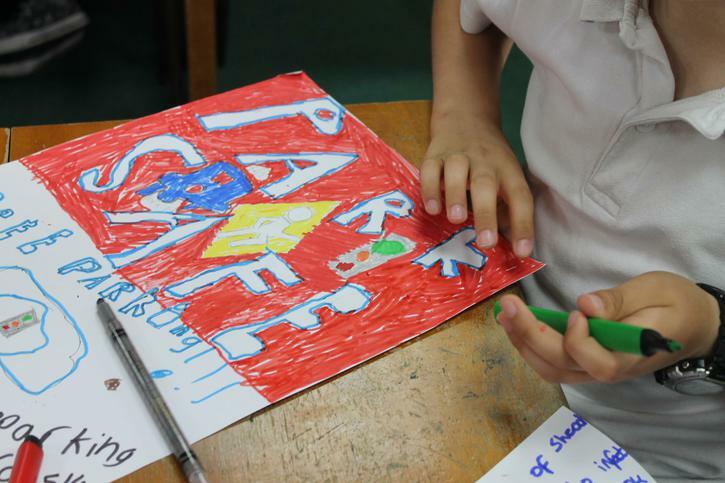 The campaign went very well and we got lots of support from our families who made an enormous effort to changing their driving and parking habits. 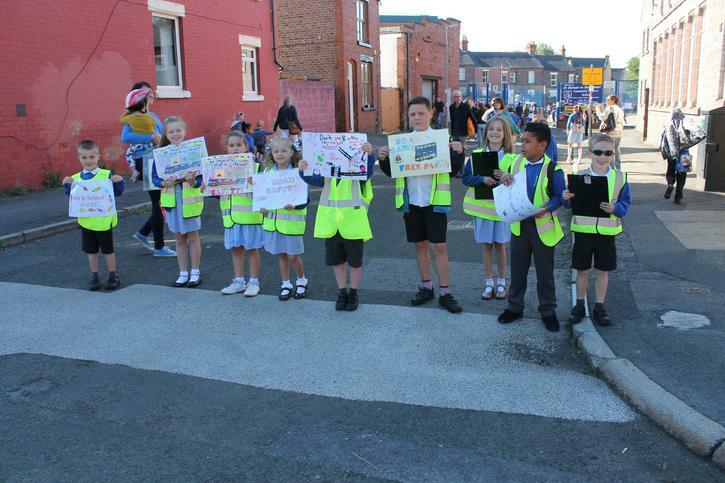 We would like to thank you for your support and also thank Councillors Anna Key,Tom Crone, Sara Jennings and their families, Community Police Officers, Local Authority Road Safety Officer and Chair Of Governors Mrs Patmore who gave up their time to support us on our campaign.